Today I am off to Manchester today to host part of QED – if you see me there, please wave. OK, the puzzle…. The people who live on the next street are strange. Those who live at odd numbered houses always lie, and those who live at even numbered houses always tell the truth. Did the third person live at an odd or even numbered house? As ever, please do NOT post your answers, but do say if you think you have solved the puzzle and how long it took. Solution on Monday. 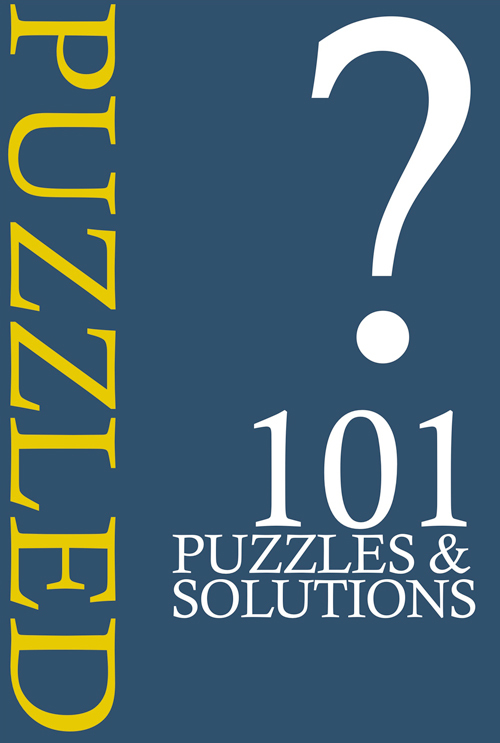 I have produced an ebook containing 101 of the previous Friday Puzzles! It is called PUZZLED and is available for theKindle (UK here and USA here) and on the iBookstore (UK here in the USAhere). You can try 101 of the puzzles for free here. 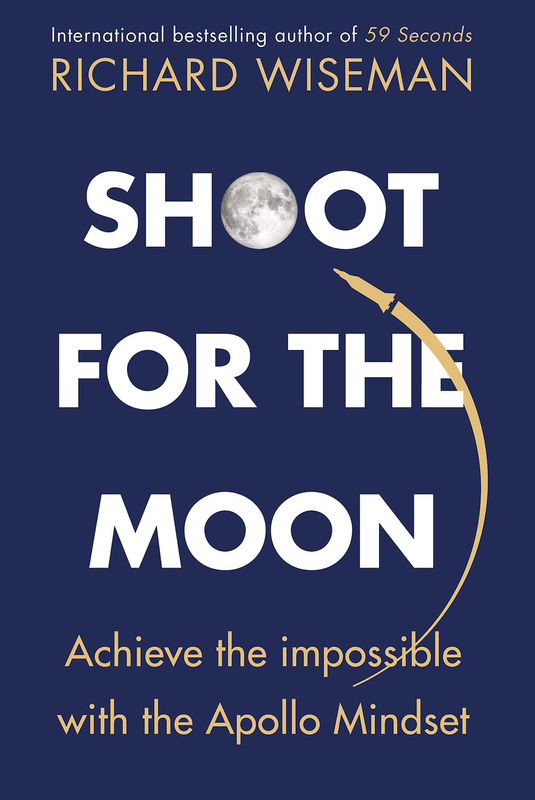 Got it!!…. Or maybe I live in an odd numbered house!?! Took me about 5 mins. I found it v tricky! I think it took me about three minutes, but then realised it should have taken me only half a minute. It’s about what people in this street can say and what not. I jotted it down as well. It seems to make it easier to solve this type of thing. So much easier to write it down with pencil and paper…here the PC doesn’t help me at all! It’s easy enough to verify. There are no ambiguities here. “There are no ambiguities here.” For a change. I am afraid you are wrong about ambiguities. Richard makes a statement about people who live in houses in the next street, but what about residents of flats, condos, chapel conversions etc? I lived in Toronto. I have a bachelor suite. When I invited someone to come here, I tell them to come to my house, as all Torontonians do. No ambiguity is perceived. All Torontonians tell people to go to your house? Does it get a bit crowded? It does, but my hamster devours them all! A couple of minutes with pencil & paper. Quite a nice puzzle. Got it, 10 secs if that. Nice puzzle. I think I managed in under a minute. I believe I got it right off. An actual puzzle! Satisfying when you get the answer, too. I guess half a minute to a minute. I knew how to fix it within about 10 seconds. Had to write down stuff in order to not get confused. Once written down, it worked and I know the answer. 30 seconds in total. Liked this one! It is one that needs a bit of thinking to get to the answer. And there is no alternative I think. We can also tell if person 2 is living in an odd or even numbered house… can you also tell in what kind of house Person one lives? Yes, I was also starting at the wrong end, and kept thinking about it. Once I realised that, it took me less than a minute. On the contrary, once you know if the third person is lying or telling the truth, you know the veracity of the second persons statement as well. If you know whether they’re lying or not, you know where they live. I also started at, well maybe not with the wrong end, but with a wrong twist. Then after a minute or something, I understood how to do it, then it was just “snap”. A couple of minutes. Nice one! And they say Canadians don’t have a sense of humour? Got it in just a few seconds. Are they Cretans by any chance? I feel really stupid now, because i am struggling with this one! To me at least it seems that either answer is logically possible. Incidentally are we assuming that what the first person said was some sort of statement (true or false) about what kind of house s/he and/or the others lived in? I realise it shouldn’t matter, but am worried that it might. STUPIDITY UPDATE: I now realise that the first person was answering a question about which house they lived in so no assumptions necessary. I can still come up with either answer, though. I could spell out my stupidity…? Imagine that the person lives on the odd side. What would her/his response be? Now, imagine that the person lives on the even side. What would her/his response be? Surprisingly quick! These ones normally take a couple of minutes to think through but I saw the key concept once I finished reading and the answer was easy from there. About a min in total. Few minutes. I like this one, it’s not too complicated. Well, after thinking about it for another minute, it seems there may be multiple right answers. Only if you assume that there are dwellings on this street that are not houses. No, you can also take into account paradox’s. I am still stumped. Here’s how my clumsy mind is going about things. The first person (A) must live in an even-numbered house, because if A mumbled “odd” A would be lying, and if A said “even” that would be true. Nevertheless, A could have lied or told the truth. That means that what the second person (B) says could also be true OR false (casting aspersions on A’s veracity but not changing the fact that A lives in an even-numbered house). 4) falsely claiming that B is telling the truth. And as C could either be making his/her claim truthfully or falsely, we can’t determine whether C lives in an even- or odd-numbered house. I must be starting at the wrong end of the stick or something. Further musings occur to me… another post i think. Almost, but not quite. Don’t think about where A lives, only about how many answers A can give. In my experience, it’s the type of thing that you have to be in the right mood for. The “Cretan paradox” seems relevant: the Cretan who says “all Cretans are liars” – or, even more concisely, someone who says “I am a liar”. We have to assume (i think) that A, B, C know that we know the unusual fact about people from odd-numbered houses and people from even-numbered houses, and therefore any statement about house numbers is an indirect statement about truth-telling. So we have an indirect Cretan paradox, as B is effectively saying “A is a liar” – but we don’t know what A said; and C says the same thing about B. A telling the truth, therefore B lying, therefore C telling the truth, therefore C EVEN. Perhaps Danon is having similar doubts? Or am i just being especially dense this morning? That reminds me of Star Trek: “I, Mudd”, where Harry Mudd says “I am lying”. You’re running too fast. Think of A. Assume for a moment that A lives on the odd side. How many possible answers can A give? Now assume that A lives on the even side. How many possible answers can A give? How do these answers compare with each other? Once you know that, you will know that B is either a liar or telling the truth. Once you know that, you will know what C’s answer *must* be and therefore on what side of the street he lives. “am i just being especially dense this morning?” heh. I got there from your previous hint! Thanks though for explaining it so patiently! I am still very happily musing on the way the puzzle misdirects you away from the various truth-claims towards wondering what side of the street their makers live on! So much more satisfying than last week’s. Pleasurable to lose yourself in the trees and then suddenly the wood whacks you between the eyes! Well, just got it, thanks to Barts hint. Don’t think I would ever have got it otherwise. What a numpty I am! Catherine, you are right, although I now start Friday realising I am as stupid as I thought I was. Took me about 5 mins because I started writing a matrix of all possible cominations of the people on the street. Then I realised this was completely unnecessary when I actually started thinking it through. Started writing down the options for A and then it clicked. About a minute. Nice puzzle. Obvious puzzle is obvious. Solved while reading. nicely solvable during the wake-up coffee, likeable logic, but what about the people on your street are they always truthful? Got it so quick, I knew the answer before I read the puzzle. In fact, I was thinking the answer as I fell asleep last night. To be completely honest, I was born knowing the answer. My house number is 48, by the way. Honest. No word of a lie. Would I lie to you, dear friends? Got it by writing it up, about 2 minutes. Are the people posting all of these comments telling the truth or are they lying? Couple of minutes. The time it takes will heavily depend on whose answer you choose to think about first (I picked the second guy, because he was first to give an actual hint, stupidly). It took a couple of minutes. Of course, I was making it harder then necessary. Very quickly, less than a minute. But here’s a twist: how could the 3rd person know what color hat he was wearing? Very easy this week – under 30 seconds. Hooray! I was really struggling until the solution clicked. I think this one is actually easier than it seems. Less than a minute. The way I’ve usually seen this is that the people speak a foreign language, hear everything said and (obviously) know what it means, which would rule out this particular ambiguity. Fascinating, but irrelevant old boy. Person 2 mishears, thinks 1 says odd, and says so. Person 3 is then wrong to call 2 a liar, but did he make the same mistake as person 2? Did he also mishear it as “odd” and lies when he calls 2 a liar, or did he hear person 1 correctly and thinks he is correct in calling person 2 a liar? The way the question is phrased, you just can’t tell. Would anyone ever answer that they live in an odd numbered house? mistaken in their testimony. Right? Sam Lloyd originally posed one much like it. C Knows that all odds lie & all evens tell the truth AND understands logic well enough to reason out the truthfulness of #2’s statement. Karl’s assumptions are incorrect. I can’t elaborate until Monday. Karl, RW always says we aren’t to give out any of the answer until Monday. Did you not read that? Yes, I did read that. I assume you are aware that I did not actually give out any answer, but instead are chastising me for coming too close to revealing an answer without actually doing so. I will concede that perhaps I have gone too far, but I did not really go any further than many others have here and often do in these. I look forward to your elaboration on Monday. I will be on tenter hooks till Monday, when you reveal all. Easy. Less than 30 seconds. Must be because I live in an even numbered house. Am I the only one that thinks it’s all about person B’s statement? It’s all about B’s and C’s statements. Yes, it’s easier than appears at first. You have to read every word of the puzzle carefully and then you get an ah-ha moment. Quite great day, this is the seriously superb website, I’ve plummeting in adore studying many of your posts and threads contained after the location, sustain the pleasant do the job as well as hope to learn a lot more exciting posts from time to come. Previous Can you explain the magic broom?